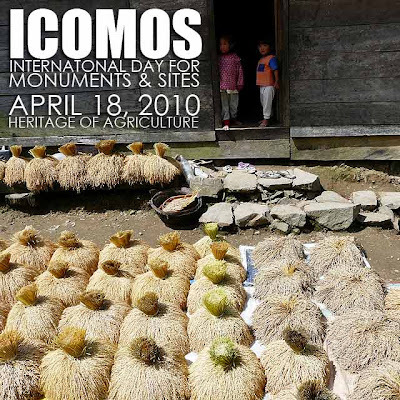 On the proposal of ICOMOS, 18 April was endorsed as the International Day for Monuments and Sites by UNESCO in 1983. This special day offers an opportunity to raise public awareness concerning the diversity of the world’s heritage and the efforts that are required to protect and conserve it, as well as to draw attention to its vulnerability. For several years now, ICOMOS suggests a topic to be highlighted on this occasion. This has allowed our members and our committees to hold activities, conferences, colloquia or other events to raise awareness on this cultural heritage among the public, the owners or the public authorities by linking a global theme to local or national realities. This year's theme is: The Heritage of Agriculture. 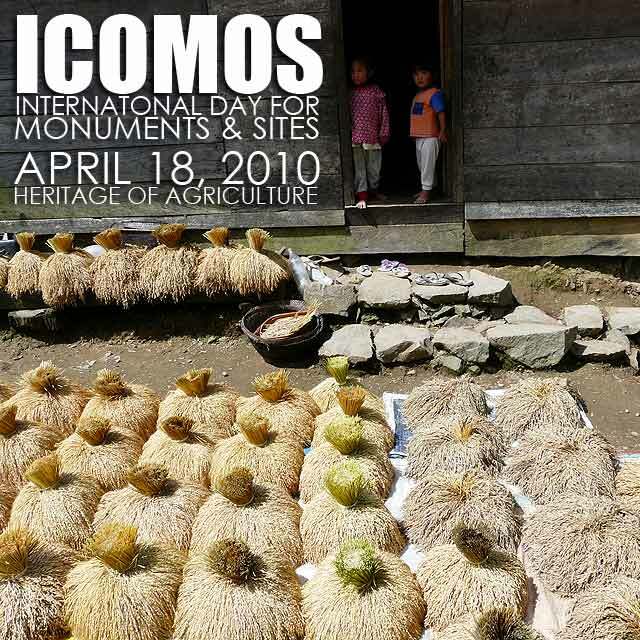 Ivan Anthony Henares, ICOMOS Philippines member and expert member of the International Cultural Tourism Committee (ICTC), introduces the agricultural heritage of the Philippines in International Day for Monuments and Sites 2010 celebrates the heritage of agriculture. Accroding to ICOMOS, "In the last two decades, the international NGO’s and public administrations in charge of heritage protection have begun to define and characterize the heritage of agriculture as well as to establish the criteria and tools that should guide the assessment of its values, protection and management. Accordingly, ICOMOS, UNESCO and other international organizations have included these objectives in their ongoing research and projects. It is therefore pertinent to evaluate how heritage properties linked to agricultural and livestock rearing practices are taken into account in current heritage practice by examining significant international experiences in this field, such as the listing of such properties in UNESCO’S World Heritage List and in the Representative List of the Intangible Cultural Heritage of Humanity, as well as the Globally Important Ingenious Agricultural Heritage Systems Programme (GIAHS), led by the UN Food and Agriculture Organisation (FAO) with other partners such as UNDP (United Nations Development Programme), UNESCO and its World Heritage Centre, ICCROM (International Centre for the Study of the Preservation and Restoration of Cultural Property), IUCN (The World Conservation Union) and CGIAR (the Consultative Group on International Agricultural Research)." In 1996 Unesco (United Nations Educational, Scientific and Cultural Organization) dispatched a mission of Filipino and foreign anthropologists, archaeologists, and heritage experts to the Batanes islands on a one-week survey to determine whether the site was of World Heritage caliber. Positive was the answer. The entire Batanes archipelago had potential. Therefore in 1997 the mission recommended a financial grant from Unesco in Paris to begin nomination preparations. World Heritage Areas embody the diversity of the planet and the achievements of its peoples. They are places of beauty and wonder; mystery and grandeur; memory and meaning. In short, they represent the best Earth has to offer. World Heritage sites are universally significant areas deserving of protection and preservation by both Unesco and the site’s host country against the threats of aging, globalization, or ravages of man by unwarranted modernization, industrialization or war. The nomination process for World Heritage inscription is a lengthy, detailed process. Practically completed are all nomination requirements for Batanes. But, for the past five or so years, the nomination somehow still lacks that elusive 5 percent to complete the last hurdle of the process. 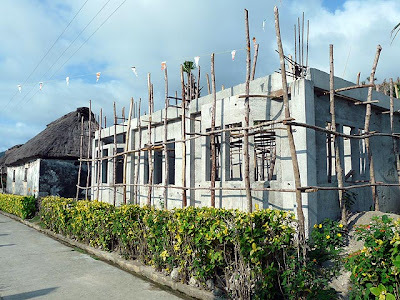 Completed during the World Heritage preparation process was the essential introduction and passing of local legislation to protect Ivatan cultural and natural heritage. The required in-depth site documentation uncovered a wealth of cultural (man-made) heritage in Batanes, ranging from archaeological sites that substantiate the claim of a continuous Ivatan culture as far back as 400 BC to burial grounds with boat-shaped burial mounds akin to those of prehistoric Vikings that demonstrated the existence of a seafaring people. There is the unsurpassed natural beauty of the Batanes islands with the surviving Ivatan villages of stone-and-thatch houses, the only examples of such type of architecture in the Philippines so totally in tune with the harsh environment of the islands. Batanes is one of those few places where the man-and-nature continuum, which shows how the population is so in tune with its environment, is still preserved. 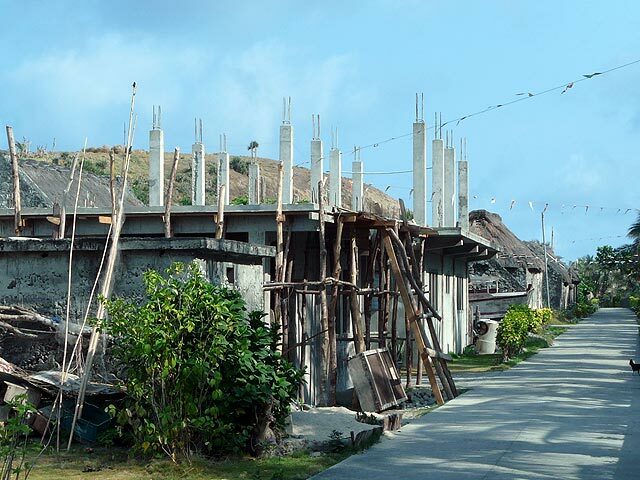 Preciosa Soliven writes: “The fabled Batanes stone houses is nowhere to be seen in Basco, the capital city of Batanes. But, our major outing to Dr. Florentino Hornedo’s (respected Ivatan scholar) island of Sabtang, less than an hour after a pump boat trip, gave us that treat. “Our first vision of Sabtang was like a postcard with the lighthouse perched on the rocky promontory and the very old white Spanish church of San Vicente Ferrer. “We took a leisurely walk around (Hornedo’s) hometown of Savidug and saw the traditional houses, laid out in neat rows. They all look the same including that of Flor’s. 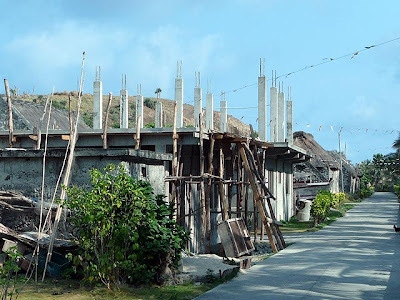 Ivan Henares writes: “For those who are not familiar with Batanes heritage, the villages of Savidug and Chavayan on Sabtang Island are the two most intact villages of vernacular Ivatan architecture, showcases of the Sinadumparan and Maytuab styles of houses. If the local governments of Sabtang and Batanes care about the inscription in the Unesco World Heritage List, could they do something about preserving the local heritage of Batanes and enforce existing ordinances? Tourism is the obvious benefit of conservation, and despite seasonal and travel difficulties, Batanes has made its mark on local tourism. Unlike Batanes, Bohol, now acknowledged to be the premier tourism destination in the Philippines, recognizes its heritage as the basis of its tourism industry and the entire population goes to great lengths to conserve their heritage, something that seems not to be grasped in Batanes. Heritage, if properly maintained and managed, is a valuable income-generating resource as the communities in Bohol and the Rice Terraces have found. There are benefits to conservation indeed, which the Batanes community still fails to realize. And inscription in the World Heritage List increases arrivals, as studies prove, although increasing arrivals is not the single raison d’être for World Heritage listing. Preserving heritage for future generations is. 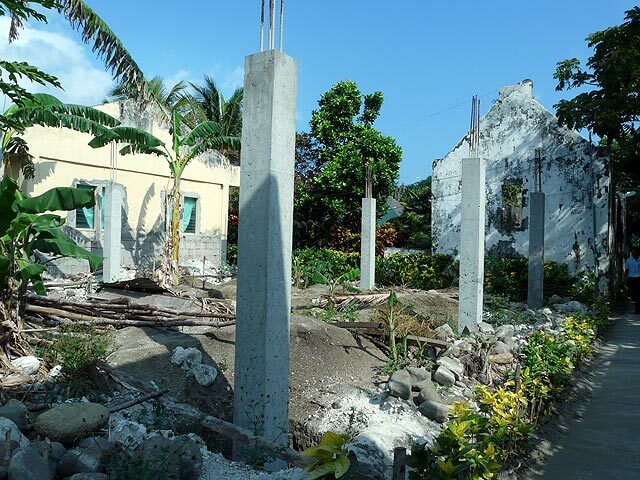 For background information on the Sabtang issue, please read: Batanes heritage in danger!